There’s no better way to cure rainy day blues during your beach vacation than with a little retail therapy! From Corolla all the way to the Southern Shores, we know some of the best Outer Banks shopping spots! Whether you’re hoping to unlock the secrets to the best local shops or simply looking for the perfect souvenir to bring home from your beach retreat, you’re in luck. Visitors love exploring all the unique malls, surf shops, and boutiques scattered throughout the region. There’s a store for just about anything, which makes shopping the perfect activity for the whole family. 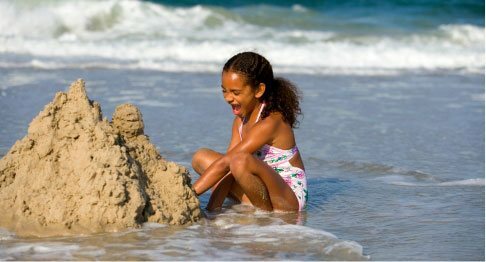 Read on for some of our favorite suggestions and access our complimentary Vacation Guide for more ideas to add to your OBX itinerary! Find everything you need for the ideal fishing excursion at Corolla Bait & Tackle. Peruse their impressive selection of tackle. Secure live bait, crabbing supplies, rods, and reels for the perfect day out on the water. They even offer surf fishing classes, rod and reel rentals, crab pot rentals, and charter fishing! Whether you’re in search of a gift for a special occasion, a souvenir to bring back from your trip, or new, beachy threads for your Outer Banks vacation, Farmer’s Daughter has it all. Pick up a YETI cooler to stash your favorite snacks for a day out on the beach or on the boat. Thumb through charming graphic t-shirts from Guy Harvey, Lauren James, and Fish Hippie. You might even find a delightful charm to add to your bracelet to remember your trip by! Stroll through Duck Village and stumble upon some of the most unique stores at Scarborough Lane Shoppes. Sample gourmet olive oils and balsamic vinegars at Ella Olive Tasting Room. Select a few samples of teas and spices to try at the Spice and Tea Exchange. You might even find the perfect Outer Banks-themed Christmas decoration at The Christmas Mouse! There’s no better way to spend an afternoon on the Outer Banks than by soaking up some sun while meandering from one shop to the next at the Waterfront Shops in Duck. Wander into various boutiques, stop for a quick bite at a restaurant, and enjoy the waterfront views from the boardwalk! 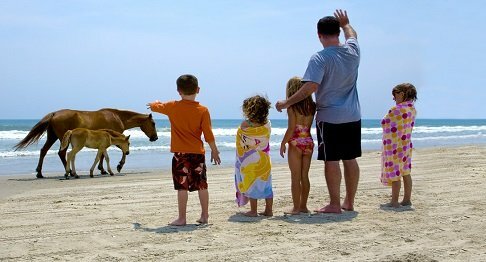 Christmas on the Outer Banks is a delightful experience for the entire family. The Christmas Shop & General Store houses everything you could possibly need for holiday cheer! Whether you’re hoping to bring home a Christmas souvenir or you’re decorating a rental home for a holiday spent on the Outer Banks, you’ll find just the right thing at this unique shop! Pick out an outfit for a night out on the town or a romantic dinner at the Tanger Outlets in Nags Head, NC. Maybe you need an extra pair of shorts for your vacation. Perhaps you left your favorite flip-flops at home and need new ones to make it through your stay. Lucky for you, you’ll find the best quality, selection, and prices at the different stores at the Outlets! 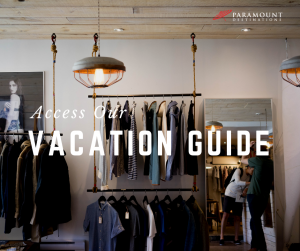 Paramount Destination boasts the best vacation rentals throughout the area! Whether you’re staying in Corolla, Duck, or on the Southern Shores, you’ll be near some of the best Outer Banks shopping destinations. 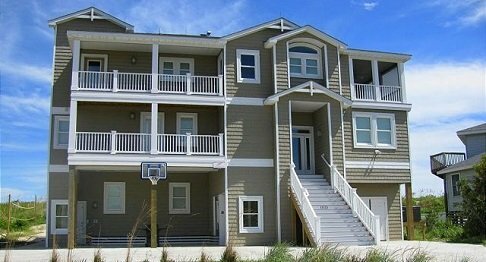 Plan your dream OBX getaway with us and enjoy quality amenities, service, and accommodations. What are you waiting for? The beach awaits!